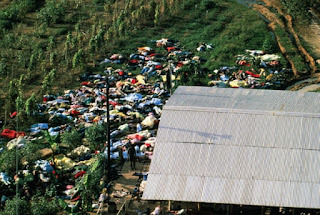 Cult News 101 - CultNEWS101 Library: The C-word: what are we saying when we talk about cults? The association between “cult” and “cool” is a more recent phenomenon. We talk of cult films, cult bands, cult novels, the cult of fitness, Bitcoin and Justin Bieber. It seems that almost anything can be called a cult, provided it has a following – a trend that feels especially meta, given the contemporary craze for cult-related media. Popular true crime podcast My Favorite Murdereven went so far as to establish a “Fan Cult”, offering members exclusive content and matching T-shirts at a cost of $39.99 per annum.